The EYE Film Institute in the Netherlands has the only copy in the world of the film in the form of the original nitrate reels, and has asked for $8,000 to make a digital copy on DVD. 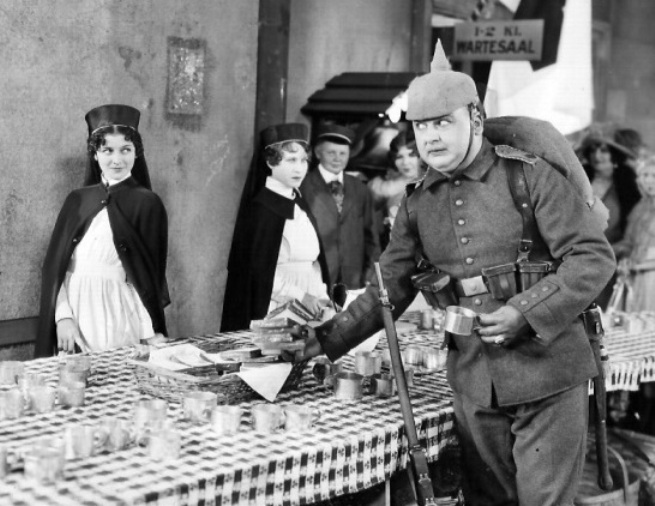 "Under the Black Eagle" has not been seen by the classic film lovers in 85 years. We need your help to buy this film so that we can show it to the public for free. Please make a tax-deductible contribution if you can afford it. If you are one of those people who appreciate something "different" in screen entertainment, then you will surely find much to interest you in "Under the Black Eagle," the new Metro-Goldwyn-Mayer picture of love and devotion. Firstly, because a tender and appealing romance has been subtly blended with thrills and adventure; secondly, because the unusual and absorbing story is laid in Central Europe and provides an interesting and authentic insight into continental home life; and thirdly, because Flash, a new canine star, makes his screen debut in the role of a dog of war, who saves his master's life. 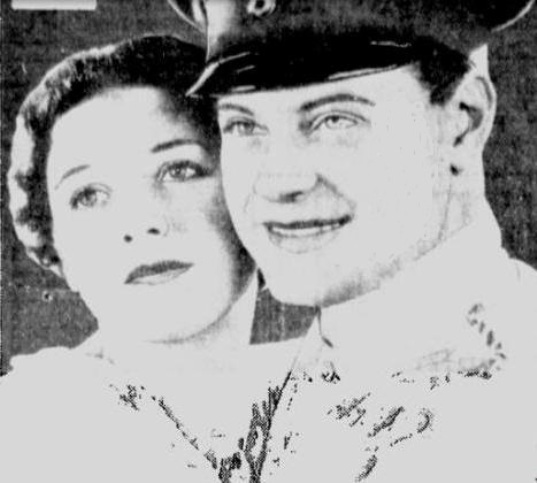 Ralph Forbes is excellently cast in the role of a young artist who is called upon to rally to his country's flag, while Marceline Day in the role of his sweetheart does some fine emotional acting that is worthy of her past performances in "The Barrier" and "Captain Salvation." Throughout the ages there has been something which has linked the affections of man and dog - a link that has existed between no other animal and the human race. There is something about a dog that is so human - yet without the frailties of mankind. Everyone who loves a dog should see "Under the Black Eagle". With Marceline Day and Ralph Forbes in the leading roles it is primarily a story of a young romance that falls under the menacing shadow of "The Black Eagle". How the two lovers are reunited through the courage and faithfulness of a canine friend makes it one of the most absorbing stories that has ever been brought to the screen. that is worthy of her past performances in "The Barrier" and "Captain Salvation." 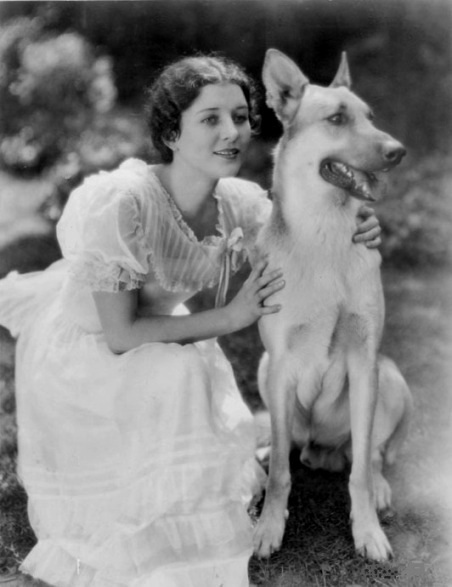 Marceline Day and Flash in "Under the Black Eagle" (1928). Marceline Day watches Ralph Forbes paint in "Under the Black Eagle" (1928). 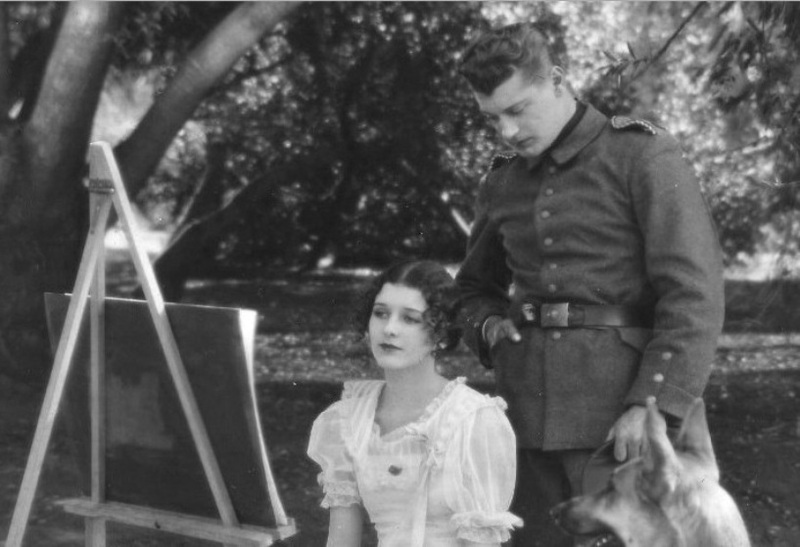 Marceline Day helps Ralph Forbes with his painting in "Under the Black Eagle" (1928). Marceline Day and Ralph Forbes in a scene from "Under the Black Eagle" (1928). Marceline Day and Ralph Forbes in a publicity still for "Under the Black Eagle" (1928). Marceline Day and Flash assess Ralph Forbes' painting in "Under the Black Eagle" (1928). 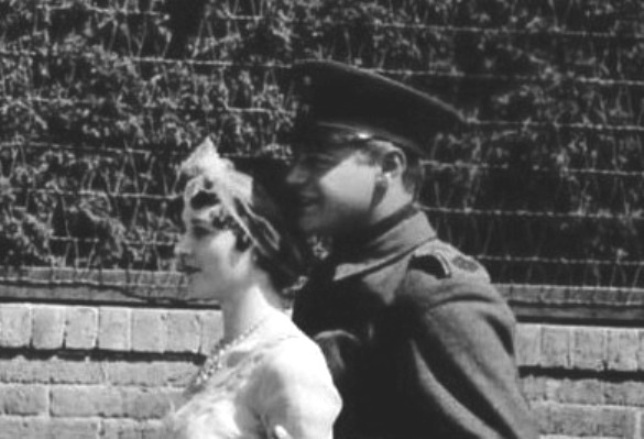 Marceline Day helps soldiers in "Under the Black Eagle" (1928).